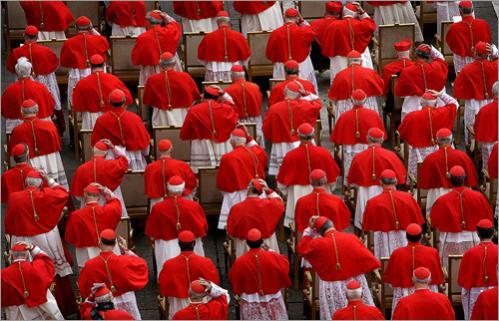 Pope Francis has transferred four Cardinals to the “Order of Bishops” within the College of Cardinals. Traditionally, the Order of Bishops within the College is composed of six Bishops who are given the “title” of Bishops of the suburbicarian sees – that is, dioceses in the immediate vicinity of Rome. The new Cardinal Bishops are Pietro Parolin, Secretary of State; Leonardo Sandri, prefect of the Congregation for Oriental Churches; Cardinal Marc Ouellet, prefect of the Congregation for Bishops; and Fernando Filoni, Prefect of the Congregation for Peoples. From the moment the rescript enters into force on 28 June, the new Cardinal Bishops will be equivalent in all respects to their confreres who hold the title of suburbicarian churches. Except by special permission of the Pope, all Cardinals of the Roman Church receive sacramental consecration as Bishops. However, within the College itself there are three “Orders” or ranks of Cardinals: Cardinal Bishops, Cardinal Priests, and Cardinal Deacons. The titles are related to the historical connection of cardinals to positions within the Church of Rome. (According to canon law, Eastern patriarchs who are made Cardinals are also in the episcopal order; they have their own patriarchal See as their title). The rescript notes that although the numbers of Cardinals who belong to the Orders of Priests and Deacons have increased with the growth of the College, the number of Cardinal Bishops “has remained constant and unchanged over time.” The elevation of new Cardinals to the Order of Bishops is intended to meet “the need to enlarge the current composition” of the Order.